Paul Bailey has switched energy supplier twice at his new home, and twice he has had trouble with his bills. Initially he moved to Economy Energy but, after he switched to a better deal, he realised that the supplier still owed him £275 as he had paid for more energy than he had used. When he chased it up, he realised that the company had collapsed into administration, and he is still waiting for his refund. Having moved to a new supplier – Outfox the Market – he was left confused by a string of price changes. Outfox the Market had to apologise late last year after it admitted sending annual bill forecasts that were 25% too high, as it introduced a winter/summer payment split. The company is one of five new or smaller energy providers which have been given a customer service rating of less than two out of five by Citizens Advice in the final quarter of 2018. The others were Eversmart Energy, PFP Energy, Pure Planet and iSupply, although Pure Planet has argued that Citizens Advice’s scoring method is outdated and unfair. At the other end of the scale, So Energy was rated best for customer service for the fifth consecutive quarter, followed by SSE and Engie. Citizens Advice analyses data from 35 firms each quarter and gives star ratings out of five. 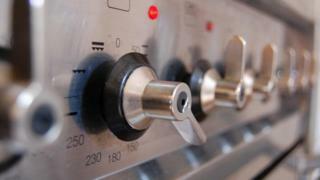 It has called on regulator Ofgem to tighten the rules around supplier licences, monitor existing firms more closely, and enforce standards. This has been echoed by Lawrence Slade, chief executive of industry trade body Energy UK. “In an increasingly competitive market, good customer service is just as important as price for many customers choosing their energy supplier. With 11 suppliers having exited the market since the start of last year – many of whom struggled with their customer service as well as financially – we agree that Ofgem needs to toughen the requirements for new and existing suppliers,” he said. New, tighter rules are expected to come into force in the coming months. 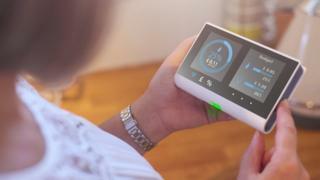 “Ofgem’s new tests for suppliers wanting to enter the market will ensure consumers will be better protected against the risk of poor performance, while still allowing more competition and innovation in the energy market to benefit consumers,” a spokeswoman for the regulator said.